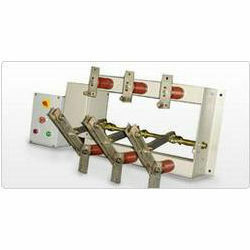 Our organization provides 33 KV Three Pole Off Load Isolator, which can be motorized or manually operated. These isolators are suitable for 33 KV systems. We also provide excellent service backup to the clients for these products. Our clients can avail these products from us at cost effective rates. Looking for Off Load Isolator ?